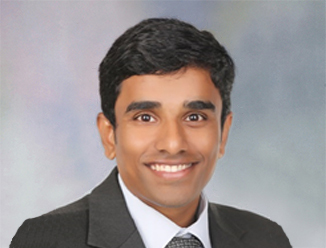 Avinash Yalamanchili is a Senior Consultant in Workplace Strategy & Transformation working with the Advisory & Transaction Services of CBRE. Avinash has 10 years of experience in supporting business transformation, business analysis, talent management and organizational change management consulting engagements for customers globally. In his career as a business change consultant, Avinash has worked with clients across various industries such as Hi-tech, Banking, Logistics, Government, Airlines, etc. As a business change expert, Avinash has delivered several successful consulting assignments for ERP transformation, e-Commerce Transformation, Workplace Transformation & Business Process Transformation projects. Avinash has also led business change initiatives in the space of HCM, specifically in the area of hire to retire, performance management, etc. Avinash’s comprehensive experience covers various business change projects across key transformational elements like People, Process, Place & Technology. Avinash is an expert in the Organizational Change Management global methodologies. His expertise as a business change consultant includes Change Impact Assessment, Change Strategy, Stakeholder Management, Readiness Assessment, Communication, Training Need Analysis, Training Planning, Development and Delivery and Benefits Management.